His Beatitude John X, Patriarch of Great Antioch and All the East, sent a letter to His Holiness Patriarch Kirill of Moscow and All Russia, expressing gratitude for brotherly Christian love and Abraham’s hospitality according him during his visit to the Russian Orthodox Church. Among the highlights of Patriarch John’ visit was the prize presented to him by the International Public Foundation of the Unity of Orthodox Nations. In his letter, Patriarch John says that his visit, which took place from February 18 to 22, 2015, was a new testimony of traditional fraternal and sincere relations that have bound the Patriarchates of Antioch and Moscow for centuries. 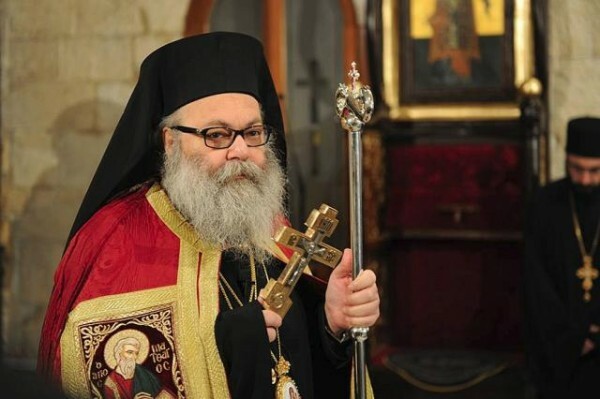 On behalf of the Orthodox Church of Antioch, its pastors and people, His Beatitude John thanked the Russian Church for the humanitarian aid given to the suffering Syrian people and gave a high value to the efforts of Patriarch Kirill to help find a peace settlement of the Middle East crisis. ‘In these blessed Lenten days, we pray to God that He may preserve you and send His blessing upon your Church and people and embrace the whole world with His mercy’, the letter states.